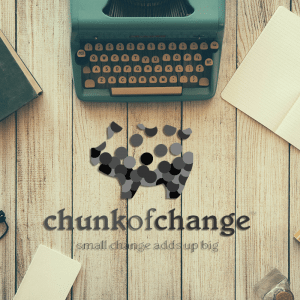 Sign up today to receive weekly updates from Chunk Of Change, as well as a bonus sample chapter, just for you. “We were so excited to have a gig economy and marketing expert at Alpha Chi Omega’s 2016 national convention for collegians and alumnae. Olga energized her session attendees by providing interactive tips and to-dos about how to succeed in today’s challenging, new, freelance-focused environment. She was one of our top-rated speakers, with attendees stating, ‘would love to see more from Olga! Excellent speaker with practical applications’." ~ Kathleen Tucker, Assistant Director of Education and Leadership Initiatives at Alpha Chi Omega Fraternity, Inc.
Stay tuned! As publication nears, I’ll be releasing additional details here. And, of course, I’ll add a pre-order link as soon as it’s ready. Here’s a little teaser: Olga’s interview with Flipboard about her upcoming book and her expertise on the gig economy! 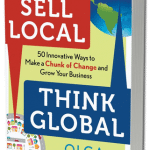 In November 2014, Career Press published Olga Mizrahi’s highly anticipated new book, Sell Local, Think Global, to widespread praise and a flurry of media attention (including Fast Company and Investor’s Business Daily). Hone in on what makes them truly unique and capitalize on that difference. Uncover the secrets of “SoLoMo” (Social/Local/Mobile) marketing. Harness social media and online customer reviews to strengthen leads. Enhance their web and mobile presence, with solid branding, to drive sales. Through the manageable (but meaningful) how-to tips in Sell Local, Think Global–now available in bookstores, nationwide, and online–small business owners and operators have started to make small, incremental changes that have, in turn, boosted their bottom lines. Bolstered the perspective of women in business, as well as female nonfiction writers, who account for less than 1 in 5 business authors.